Manitou HT frame,Ringle post,XT mechs. Post subject: Manitou HT frame,Ringle post,XT mechs. I have for sale a 19 inch Manitou HT frame with Ringle post. I bought off a fellow member on here a few years ago. 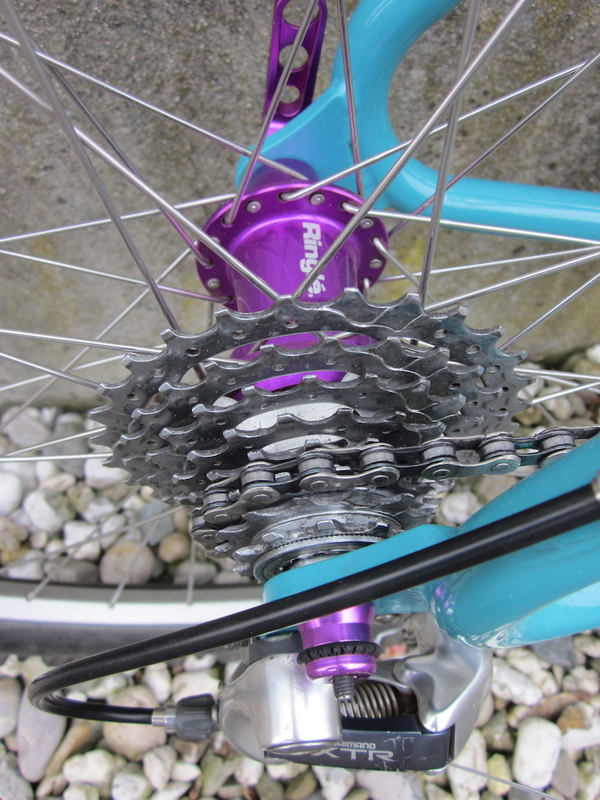 Comes with XT front and rear mech,also some silver X lite bars. Looking for £185 posted to mainland UK. Please click link below as also have it on Ebay. Post subject: Re: Manitou HT frame,Ringle post,XT mechs. Is that headtube 1 1/4"? What's the length of the headtube? What would postage to the Netherlands be? Yes, 1 1/4 head tube but has been shimmed to allow the use of a 1 1/8th head set. Will pm you for Address details for postage.